Moss Landing Marine Laboratories Kenneth H. Coale has been Named a Fellow of the American Association for the Advancement of Science. Moss Landing Marine Laboratories Professor of Marine Biogeochemistry Kenneth H. Coale has been named a Fellow of the American Association for the Advancement of Science (AAAS) for groundbreaking experiments linking iron to plankton growth, marine production and climate change. Coale is among a select number of California State University faculty members to receive this distinction. “It is truly an honor for our little institution in Moss Landing to be recognized by such a prominent and respected scientific body,” Coale said. 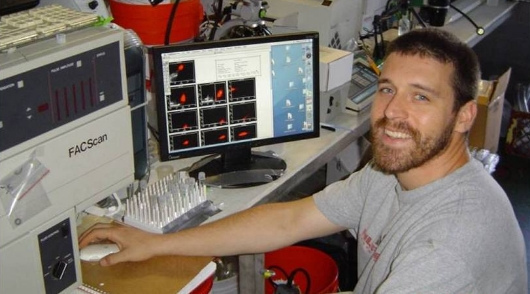 Coale was elected as an AAAS Fellow for studies of trace element biogeochemistry in marine waters and the response of marine phytoplankton to exogenous iron deposition. He is a marine biogeochemist who studies the cycles of chemicals in the sea and the natural and anthropogenic processes that influence these cycles. The professor was the chief scientist/principal investigator on all the U.S.-led open ocean iron fertilization experiments in both the equatorial Pacific and Southern Ocean that have advanced the “Iron Hypothesis” of phytoplankton production and climate forcing. 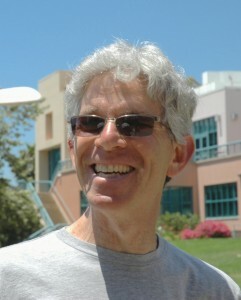 His research interests include trace element, carbon and nutrient cycling in ocean, coastal and freshwater systems; the application of natural and anthropogenic radionuclides in the study of marine rate processes; the biogeochemical cycling of mercury in aquatic and atmospheric systems, and the transport of mercury from the oceans to terrestrial systems via fog. Coale serves on the California Ocean Protection Council’s Science Advisory Team and is a trustee for the Ocean Science Trust. In a recent paper published in the Proceedings of the National Academy of Science, Coale and coworkers identified a neurotoxin produced in iron-fertilized open ocean regions. Election as an AAAS Fellow is an honor bestowed upon AAAS members by their peers. This year, 401 members have been awarded this honor by AAAS because of their scientifically or socially distinguished efforts to advance science or its applications. New Fellows will be presented with an official certificate and a gold and blue (representing science and engineering, respectively) rosette pin on at the 2015 AAAS Annual Meeting to be held in February in San Jose. Moss Landing Marine Laboratories (MLML) are the graduate program and research facilities administered by San Jose State University serving seven California State University (CSU) campuses located in Fresno, Stanislaus, Sacramento, San Francisco, Hayward, San Jose and Monterey Bay. MLML, the second oldest marine lab in the Monterey Bay region, has grown from its humble beginnings in a converted cannery building in 1966, to an internationally renowned program for excellence in all marine science disciplines. The American Association for the Advancement of Science (AAAS) is the world’s largest general scientific society, and publisher of the journal, Science as well as Science Translational Medicine and Science Signaling. AAAS was founded in 1848, and includes 254 affiliated societies and academies of science, serving 10 million individuals. Science has the largest paid circulation of any peer-reviewed general science journal in the world, with an estimated total readership of one million. The non-profit AAAS is open to all and fulfills its mission to “advance science and serve society” through initiatives in science policy, international programs, science education, and more. For the latest research news, log onto EurekAlert! the premier science-news Web site, a service of AAAS. Please join us in congratulating the extraordinary achievements of professors Hamilton and Holian, two outstanding members of the San José State University faculty. 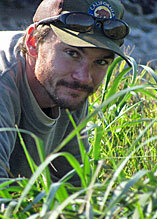 Assistant Professor Scott Hamilton from Moss Landing Marine Laboratories, College of Science, and Associate Professor Matthew Holian from the Department of Economics, College of Social Sciences, have been chosen to receive the San José State University Research Foundation Early Career Investigator Award for 2014. Their selection has been made at the recommendation of the Early Career Investigator Subcommittee of the Research Foundation Board of Directors. Please join us in congratulating the extraordinary achievements of professors Hamilton and Holian, two outstanding members of the San José State University faculty. 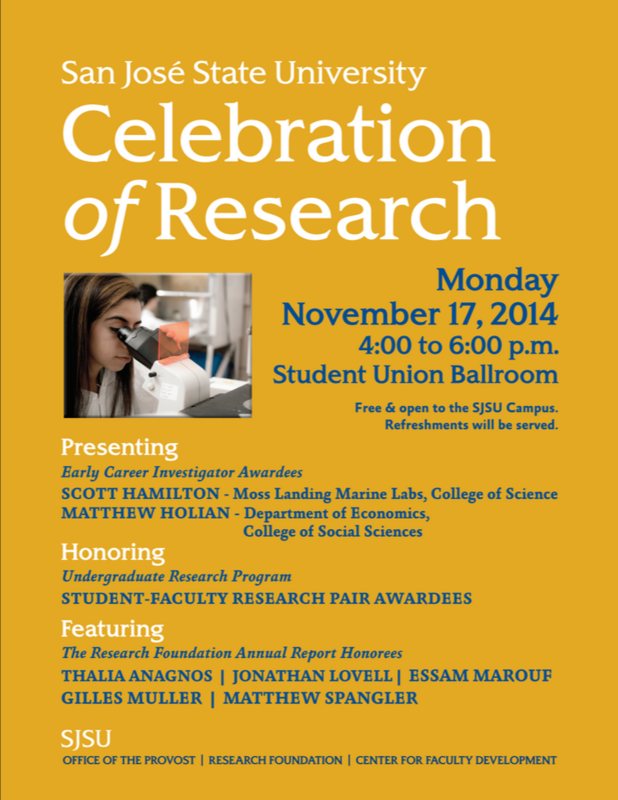 They will be honored at the SJSU Celebration of Research on Monday, November 17, from 4 to 6 p.m. in the Student Union Ballroom. Both professors will present short talks on their research. The SJSU Research Foundation Early Career Investigator Award recognizes tenure-track SJSU faculty who have excelled in areas of research, scholarship or creative activity as evidenced by their success in securing funds for research, publishing in peer-reviewed journals, and carrying out other important scholarly and creative activities at an early or beginning point in their careers at SJSU. Our two recipients are excellent examples of individuals who have achieved this level of success. Scott Hamilton has been tremendously productive in his field of study, Ichthyology, and specializes in the ecology of coastal marine fish, their role in nearshore ecosystems, and the response of these ecosystems to environmental change and human impacts. Since joining SJSU in 2011, he has successfully competed for multiple grants, receiving over $165,000 in funding to date. These grants have come from the Regents of the University of California, California Sea Grant, and the Council on Ocean Affairs Science and Technology. 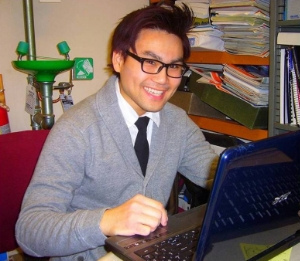 He has co-authored two journal articles since arriving at SJSU, bringing his total to 14 publications, including an individual authorship and two conference proceedings. Looking into the life history traits and the reproductive function of the California sheephead, a kelp forest fish, Hamilton is also collaborating on exploring the effects of climate change on the vital kelp forest communities. Matthew Holian has demonstrated an outstanding record of research and scholarship, making a name for himself in the field of transportation economics. Since joining SJSU in 2008, he has successfully competed for numerous grants, receiving $350,000 in funding to date. These grants have come from the California Debt and Investment Advisory Committee, the Charles Koch Foundation, along with federal and state sponsored research funding through the Mineta Transportation Institute. Since 2008, he has published nine journal articles, three of which he authored individually; research reports; and a book chapter. 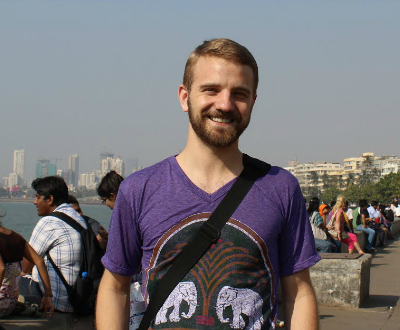 Holian’s research studies include Cities, Suburbs, and the Environment in India; Greenhouse Gas Emissions Generated by Urban Transportation and Land Use Patterns; and Integrating Highway and Transit Data into Benefit-Cost Analysis. The SJSU Research Foundation established two Early Career Investigator Awards in order to encourage participation beyond those colleges where large numbers of faculty have traditionally participated in external funding pursuits. One award goes to a faculty member in the colleges of Science or Engineering and another is made to a faculty member from one of the other colleges. Each awardee will receive a cash award of $1,000 to be used at their discretion. 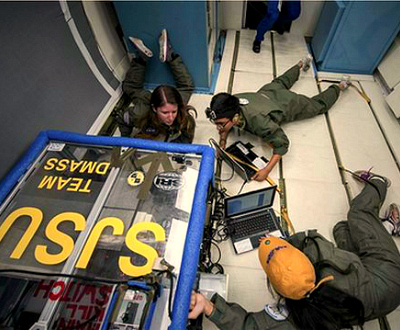 Five engineering students experienced 15 minutes of zero gravity flight in Houston this summer. The SJSU team’s research proposal, selected by NASA from more than 60 proposals, gave the students the opportunity to design, build, fly and test their experiments aboard an aircraft dubbed the “Weightless Wonder.” And the experience? “Phenomenal, exhilarating, amazing!” students report. Willing to travel thousands of miles out to sea, graduate student Paul Clerkin discovered eight shark species (Save Our Seas Foundation image). How many inspire a Hollywood film? Bob Ladouceur, ’77 Criminal Justice, former head football coach at De La Salle High School, has spent the last several months walking red carpets, being interviewed by “Entertainment Tonight” and attending premieres of When the Game Stands Tall, a film about Coach Ladouceur and De La Salle’s historic 151-game winning streak. Actor Jim Caviezel portrays Ladouceur in the film. To become a performer, the late comic genius Robin Williams had to overcome a crippling case of shyness. First step: joining his high school drama club. For his 1997 film Flubber, Williams came to San Jose. 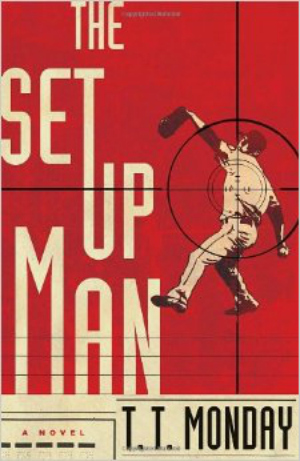 Sharp-eyed Spartans will recognize several city and campus locations that made the film’s final cut. Posted Aug. 12, 2014 by the Santa Cruz Sentinel. After 60 days on a commercial fishing boat, 1,000 miles from land, San Jose State researcher Paul Clerkin discovered never-before-seen sharks, which will be featured on Discovery Channel’s “Shark Week” on Tuesday. 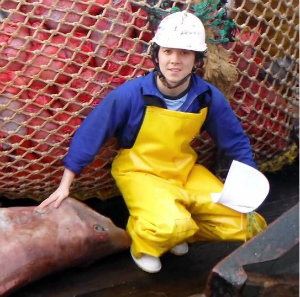 Clerkin, 29, first ventured to the southern Indian Ocean with the fishing crew to catalog their shark bycatch in 2012. In two months, he encountered 23 types of sharks, eight of which were new species. Clerkin, a master’s student researching at Moss Landing Marine Labs, returned to the boat in March, this time with a Discovery Channel film crew for “Alien Sharks.” Clerkin said he’s not allowed to say how many new species he discovered this year, but he’s pleased with the trip’s success. MOSS LANDING, CALIF. – 5 June 2013 – The inaugural Gordon Research Seminar in Coastal Ocean Circulation has invited Associate Professor Erika McPhee-Shaw of Moss Landing Marine Laboratories (MLML) to deliver the keynote talk this month at the University of New England. The seminar is part of the Gordon Research Conferences, a group of prestigious international scientific conferences covering research from the frontiers of science. The Gordon Research Conferences (GRC) were initiated in 1931 by Dr. Neil E. Gordon of Johns Hopkins University with the purpose of bringing together scientists to facilitate discussions and encourage the free exchange of ideas. In 1996 an additional program, the Gordon Research Seminars, was developed to extend the gatherings to graduate students and post-doctoral researchers. Today the GRC has grown to over 250 conferences and seminars scheduled for 2013, with only three on topics related to ocean sciences. Dr. McPhee-Shaw will be the first ever keynote speaker for the Coastal Ocean Circulation Gordon Research Seminar, and will present to a group of 75 Ph.D. students and postdoctoral scholars. Dr. McPhee-Shaw’s research focuses on internal waves, continental shelf and slope dynamics, and sediment and nutrient transport. 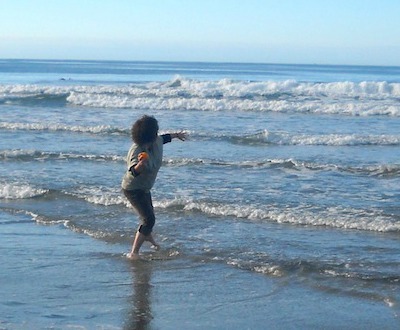 In addition to the invitation to speak at the GRS, she was also was recently elected chair of the Central and Northern California Ocean Observing System (CeNCOOS) executive council, and will serve in this position through February 2014. Moss Landing Marine Laboratories is home to the master’s of marine science program for seven California State University campuses, including SJSU, which serves as administrator. In his role as faculty advisor of the MLML Vertebrate Ecology Lab, Jim Harvey conducts research on marine turtles, birds and mammals. 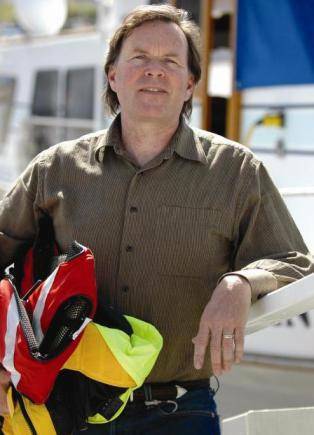 MOSS LANDING, CALIF. – After a national search, James Harvey was named director of Moss Landing Marine Laboratories. Harvey was selected for the position by a search committee comprised of CSU administration, MLML faculty members, and members of the Monterey Bay scientific community. Established in 1966, Moss Landing Marine Laboratories is the marine lab and graduate program in marine science for a consortium of seven California State University campuses, with overall management provided by SJSU. Today MLML has eight full-time faculty and nearly 100 graduate students enrolled in the program, with resources including a marine research library, 13 research vessels from 12 to 135 feet in length, and a fully-equipped diving program. Harvey will oversee the MLML education and research programs, and serves as a member of the Executive Committee of MLML’s Governing Board of consortium campuses. Harvey has a long relationship with Moss Landing Marine Laboratories, first arriving as a graduate student in 1974. After receiving a master’s of science in marine biology from MLML and SJSU, and a doctoral degree from Oregon State University, he returned to MLML as an instructor in 1989. Harvey subsequently joined the faculty and earned full professorship by 2002, a position he held until recently when he assumed the role of interim director. In his role as faculty advisor of the MLML Vertebrate Ecology Lab, Harvey conducts research on marine turtles, birds and mammals. He is a founding member of Beach COMBERS, a local program that trains volunteers to survey beaches for marine birds and mammals on a monthly basis. In addition, Harvey’s lab is a member of the U.S. Marine Mammal Health and Stranding Response Program, helping sick and injured marine mammals and sea turtles found in Monterey County, and recovering dead animals to collect data and investigate the cause of death. 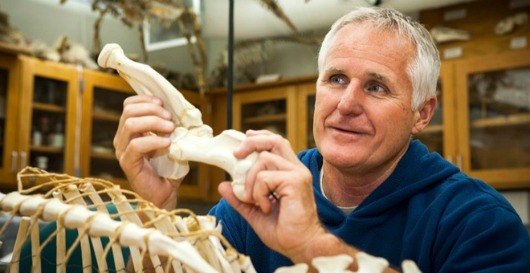 He has advised over 70 graduate students during his tenure at Moss Landing Marine Laboratories. Harvey is an active member of the scientific community, serving as chair of the Elkhorn Slough National Estuarine Research Reserve Research Advisory Panel, advisor to the Monterey Bay National Marine Sanctuary Research Activity Panel, scientific advisor for The Marine Mammal Center, and member of the San Jose State University Research Foundation Board of Directors. Learn more information about MLML and James Harvey. Two Spartans received honors at the 27th Annual California State University Student Research Competition. Brian Maurer took first place among graduate students and Daniel Nguyen took second place among undergraduates in the Biological and Agricultural Sciences Category. The CSU Student Research Competition is a systemwide event held annually to showcase excellence in scholarly research and creative activity conducted by undergraduate and graduate students. Student participants make oral presentations before juries of professional experts from major corporations, foundations, public agencies, and colleges and universities in California. 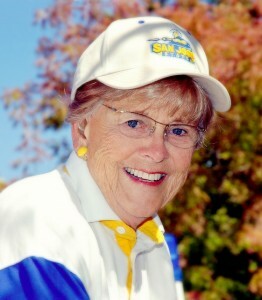 Here’s more on SJSU’s winners. 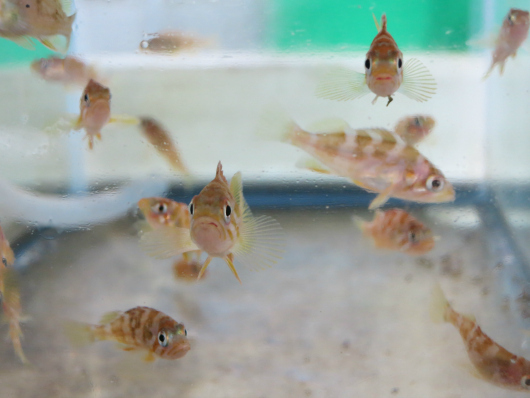 Brian Mauer, a graduate student at Moss Landing Marine Laboratories, won first place in the biological and agricultural sciences category (photo courtesy of the SJSU Research Foundation). A technique has been optimized that measures the rate of extracellular fluorescein production, the product of FDA cleavage by esterase enzymes present in all living cells, to quantify the bulk living biomass of heterogeneous aquatic assemblages. Daniel Nguyen, an undergraduate in chemistry, won second place in the biological and agricultural sciences category (photo courtesy of the SJSU Research Foundation). He developed an efficient light-driven P450 biocatalyst able to selectively hydroxylate substrate C-H bonds with the highest activity and turnover numbers among all of the current alternative approaches. 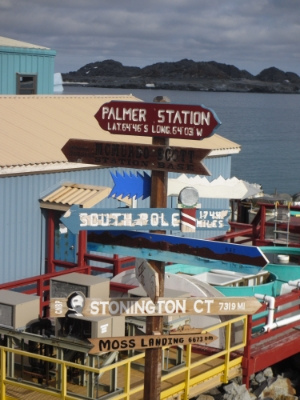 A sign in Palmer Station, Antarctica, to which an arrow for Moss Landing was added by the Point Sur’s crew (Rebecca Shoop photo). Cruise to support scientific operations near Palmer Station is a first for a National Science Foundation vessel of the R/V Point Sur’s “regional class” size. The Research Vessel Point Sur cruised into her home port of Moss Landing Harbor this Thur., May 2, returning from a research voyage to the Antarctic Peninsula. 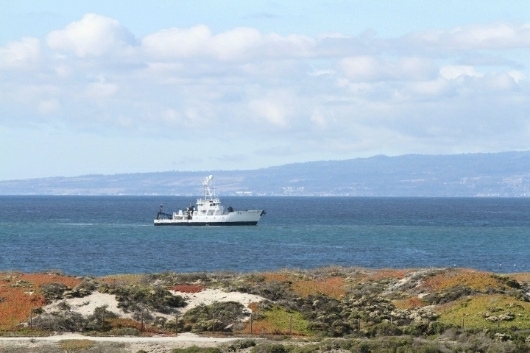 The National Science Foundation vessel operated by Moss Landing Marine Laboratories has been gone more than five months, supporting research in the Southern and Pacific Oceans during a trip that was unprecedented by an NSF vessel of her size. The 135-foot R/V Point Sur departed Moss Landing on Nov. 29 on a trip that took her more than 17,000 miles, and is one that is more commonly made by vessels that are 200 or 300 feet in length. The Point Sur, as she is affectionately known by the MLML community, was chosen by NSF for the mission for her cost-effective, flexible size and her prior achievements working in the Aleutian Island Chain and Bering Sea in Alaska. The Point Sur arrived at Palmer Station on Anvers Island, Antarctica on Jan. 26, nearly 18 months after planning for the journey began. 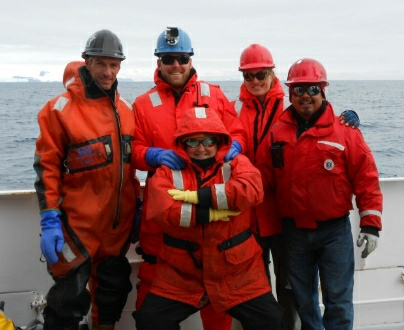 At Palmer Station the science party from University of South Carolina disembarked, and the Point Sur was joined by members of the Palmer Antarctica Long Term Ecological Research Project (LTER), whose work has been conducted for more than 20 years. 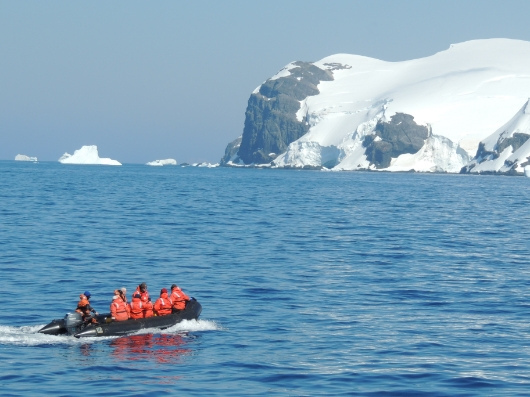 The Point Sur transported the LTER scientists to the western side of Anvers Island to survey penguin colonies, reaching an area that had not been surveyed by land since the mid 1980s. The Point Sur continued juggling science parties throughout her time in Antarctica, supporting a whale research group from Duke University who were able to tag so many whales that they ran out of tagging supplies. Also before leaving Palmer Station, the vessel was able to host a scientific diving operation from the University of Alabama, studying a kelp-like brown seaweed called Ascoseira. In his blog post titled “Long Stemmed Seaweeds, Magnificent Cliffs, with Memories of Old Heroes,” scientist Chuck Amsler writes of reaching his research site at Lemaire, “possibly the most beautiful spot on the entire Antarctic Peninsula if not the continent as a whole,” not reachable by Zodiacs launched from Palmer Station, and therefore only made possible on this trip by transport by the Point Sur. Moss Landing Marine Laboratories is the graduate program in marine science for California State Universities East Bay, Fresno, Monterey Bay, Sacramento, San Francisco, San Jose and Stanislaus. Learn more about MLML. View the Point Sur blog. 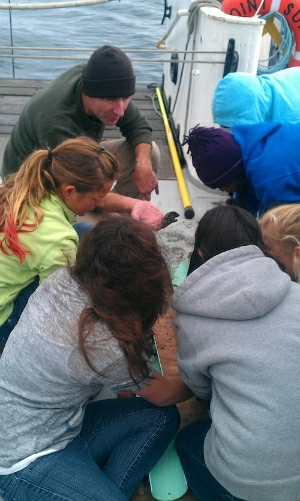 MLML Associate Professor Ivano Aiello leads a discussion on seafloor mud with Pacific Grove Middle School students (MLML photo). 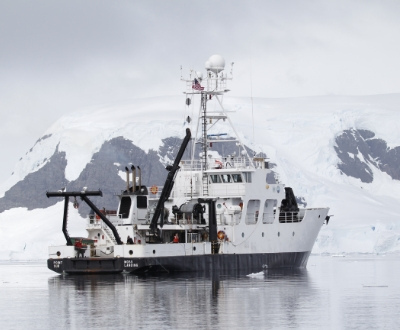 Moss Landing Marine Labs’ Research Vessel Point Sur is currently returning from the waters of Antarctica, where it supported research funded by the National Science Foundation Office of Polar Programs. 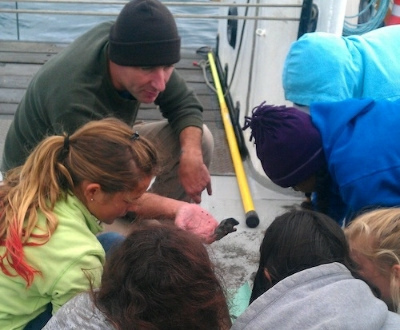 But before it left for the pole, students from Pacific Grove Middle School spent a day onboard the R/V Point Sur investigating local geology. The trip was initiated by MLML Associate Professor Ivano Aiello, who wanted to bring K-12 students into the world of marine science. Aiello recently served as the sedimentologist for a Bering Sea expedition aboard the JOIDES Resolution, a research vessel equipped to drill sediment cores from the ocean floor. Part of the Integrated Ocean Discovery Program, the expedition’s purpose was to study the history of the oceans through sediments. “The program has all the components – exploration, discovery, hand‐on applications of mathematical and physical science – to be an inspiration for youth, K‐12 students and their teachers,” said Aiello. 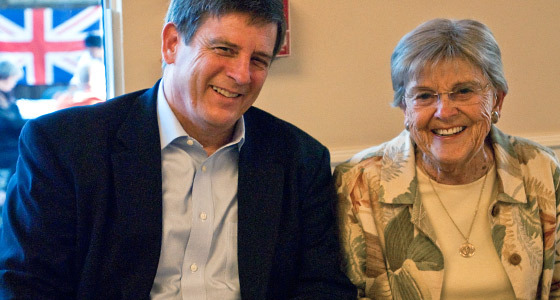 MLML’s Teacher Enhancement Program was instrumental in helping Aiello make this a reality. Program Director Dr. Simona Bartl matched Dr. Aiello’s proposed activities to middle school earth science standards, and offered the activity to past participants of TEP. Pacific Grove Middle School Teacher Kelly Terry’s class was selected. Read more on the MLML blog. 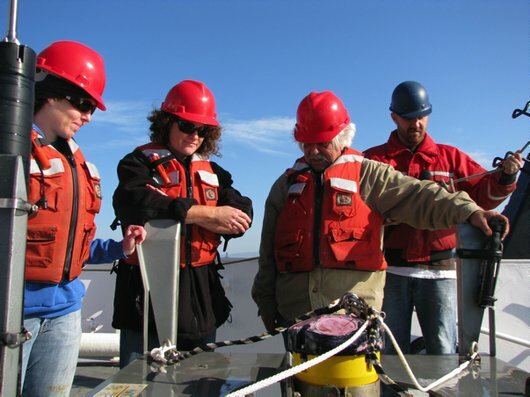 Associate Professor Erika McPhee-Shaw will oversee coastal observing systems from Point Conception to the California-Oregon border (photo courtesy of Moss Landing Marine Laboratories). MOSS LANDING, CA – A Moss Landing Marine Laboratories faculty member has taken on a leading role in overseeing coastal observing systems used to improve safety, enhance the economy, and protect the environment. The Central and Northern California Ocean Observing System (CeNCOOS) recently elected new members to its Executive Committee. 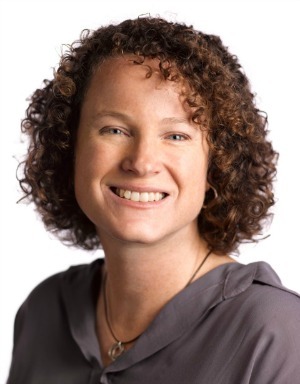 Chosen by the Governing Council to fill the position of Council Chair was Moss Landing Marine Laboratories Associate Professor Erika McPhee-Shaw. CeNCOOS is part of the Integrated Ocean Observing System (IOOS), a national framework of 11 coastal observing systems. It arose through actions of the National Oceanic and Atmospheric Administration (NOAA) and the U.S. Congress in the early 2000s, and was formally authorized by the federal Integrated Coastal and Ocean Observation System Act of 2009. The region covered by CeNCOOS stretches from Point Conception to the California-Oregon border, including all bays and estuaries, and extends 200 nautical miles from shore. CeNCOOS monitors regional waters with both fixed instruments housed on buoys, docks, and piers, and mobile instruments carried by submersibles, ships, autonomous vehicles, aircraft and satellites. Recently, McPhee-Shaw along with MLML scientists installed a new water quality monitoring station under the Monterey Commercial Wharf in Monterey, Calif., as an addition to the CeNCOOS system. The data collected by CeNCOOS is made available to all marine users and managers to aid the conservation of resources and benefit the public. In addition to providing unbiased information on the health of the oceans in Central and Northern California, CeNCOOS also provides representatives to national IOOS committees and other relevant organizations. As well as serving as the CeNCOOS Governing Council Chair, McPhee-Shaw will serve on the board of the U.S. IOOS Association (formerly named NFRA), which represents the eleven IOOS observing systems at the federal level. Moss Landing Marine Laboratories is the graduate program in marine science for seven California State University campuses including East Bay, Fresno, Monterey Bay, Sacramento, San Francisco, San Jose and Stanislaus. A team of scientists disembark from Moss Landing’s research vessel with the goal of “scouring islands for sedimentary rock looking for evidence that there may have been glaciers in the earth’s past when the planet was much warmer than it is today,” writes chef/steward/photographer Tara Pastuszek. When scientists needed a lift to the South Pole, they called Moss Landing Marine Laboratories. So began a truly epic, 8,000-mile journey for the research vessel Point Sur and crew, full of spectacular sunsets, wildlife sightings and, just a few days ago, landfall at their ice encrusted destination, Palmer Station. Researchers on board include a team led by University of South Carolina PhD candidate Ben Oliver, whose blog offers many amazing photos. “Our current science party has been busy at work scouring islands for sedimentary rock looking for evidence that there may have been glaciers in the earth’s past when the planet was much warmer than it is today,” writes Point Sur crew member Tara Pastuszek on the Point Sur blog, which offers equally impressive imagery. “One of the objectives of this study is to gain insight into how glaciers will be impacted by modern climate change.” In this and many other ways, Point Sur and MLML support marine science research with worldwide impacts. MLML is a consortium of California State University campuses administered by San Jose State and the SJSU Research Foundation. Point Sur off the Moss Landing coast during the summer (MLML photo). 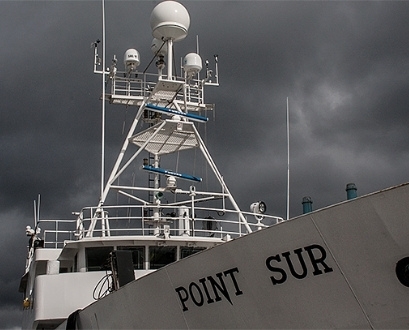 Under the darkening skies of approaching winter storms, the research vessel Point Sur departed for an 8,200-mile trip south. Final destination: Palmer Station, Antarctica. So begins the latest adventure for Moss Landing Marine Laboratories’ 135-foot, 495 ton flagship and her dedicated crew, to support the National Science Foundation Office of Polar Programs and the scientists studying the habitat, chemistry, climate, biology, geology and physics of the Antarctic Peninsula around the U.S. base at Palmer Station. MLML is home to the master’s of marine science program for seven CSU campuses, including SJSU, which serves as administrator. Read the full news release on the Point Sur expedition. View media coverage of the trip. Track the vessel online. Check out more on research at SJSU. Check out the fall 2012 issue of Wave magazine! 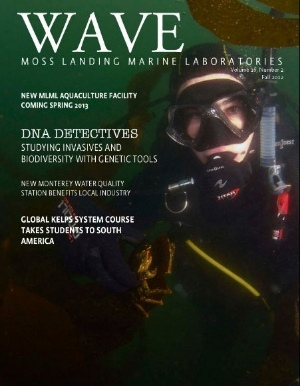 In the fall 2012 issue of Moss Landing Marine Laboratories’ magazine Wave, marine science graduate students are packing for a four-month cruise aboard a research vessel, installing water monitors below a Monterey wharf for scientists and abalone farmers, and building a new lab to study seaweed cultivation. Meanwhile, Friends of MLML is providing more than $25,000 in scholarships and internships to students who use the funds for a wide range of resources needed for thesis projects including visiting Madagascar to study Humpback whales, purchasing reagents for running DNA extractions on invasive species, and securing boat time for tracking Leopard sharks in Elkhorn Slough. MLML is home to the master’s of marine science program for seven CSU campuses, including SJSU, which serves as administrator. Download Wave. This brightly colored anglerfish is the topic of a newly published study co-authored by Moss Landing Marine Laboratories Professor Emeritus Gregor M. Cailliet. Cailliet worked with colleagues from the Monterey Bay Aquarium Research Institute and Monterey Bay National Marine Sanctuary. “While scientists have observed other species of anglerfish in the wild before, this particular species—Chaunacops coloratus—wasn’t documented alive until 2002,” explains the National Geographic Daily News website. “The 2002 sighting was of a single fish found near a seamount, or extinct volcano, about 80 miles southwest of Monterey. 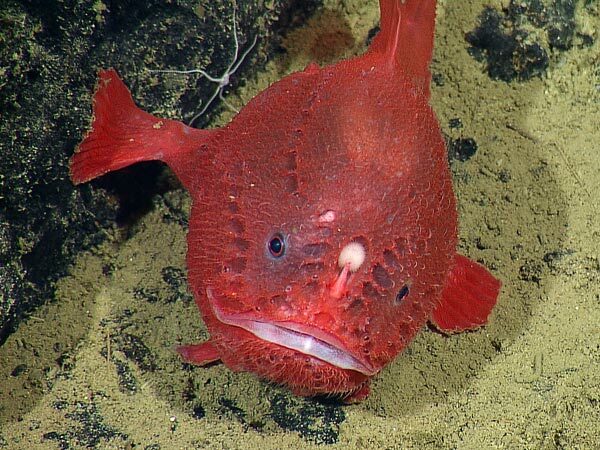 “In 2010, an expedition to the nearby Taney Seamounts found six more—enough to support a proper investigation of the species…which can walk and changes color throughout its life,” National Geographic continues. 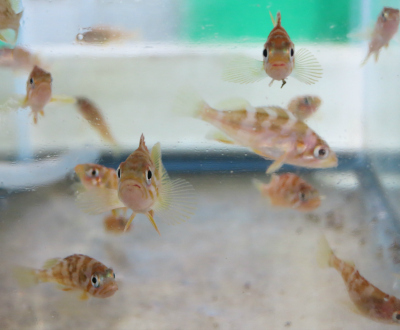 You can learn more about Chaunacops coloratus in the journal Deep-Sea Research Part I.
Moss Landing Marine Laboratories is home to the master’s of marine science program for seven CSU campuses, including SJSU, which serves as administrator. Moss Landing, Calif. – 18 September 2012 – A partnership of Moss Landing Marine Laboratories, San Diego State University, UCLA, the Smithsonian Institute and NOAA has been awarded $4.87 million from the National Science Foundation to study marine biodiversity in Indonesia. Funded by NSF’s Partnerships in International Research and Education program, the project will focus on the Coral Triangle, a region that contains the world’s most biologically diverse coral reefs. Reefs of the Coral Triangle are an extremely important biological and economic resource locally and globally, but are severely threatened by human impacts and climate change. 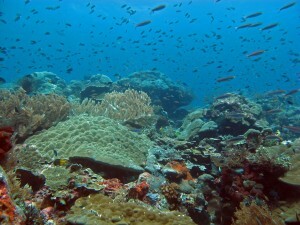 As such, these reefs are important conservation targets. The new project, titled “Assembly of marine biodiversity along geographic and anthropogenic stress gradients,” will use a novel monitoring tool called Autonomous Reef Monitoring Structures (ARMS) to study the impacts of these threats. ARMS are particularly good at capturing the hidden biodiversity that comprises the vast majority of marine biodiversity, including viruses, microbes, smaller animals and algae. For the project, the ARMS will measure what organisms are present in reefs across the Indonesian Archipelago, how the biodiversity of these organisms changes over different areas and how biodiversity is impacted by human-caused environmental stress. 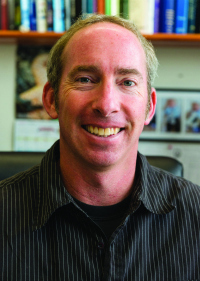 Moss Landing Marine Laboratories (MLML) Professor Jonathan Geller is an important part of the partnership, spearheading MLML’s role and conducting invertebrate metagenomic analyses for the project. Metagenomics is the study of genetic material collected directly from environmental samples, which in the case of the new project, will be collected by the ARMS. In addition, Dr. Geller will also lead workshops in these methods for Indonesian and U.S. graduate students. The benefits of the project are threefold. First, the information collected during the project will help scientists better understand what affects biodiversity in the Coral Triangle, and this knowledge that can be used to help resource managers protect the valuable coral reef ecosystems. Second, the project will also bring an international collaboration to Indonesia, one of the world’s most populous developing countries, increasing the nation’s scientific capacity. Third, the project will prepare U.S. post-doctoral scholars, graduate and undergraduate students to be global leaders in the science of marine biodiversity, capable of international research in the world’s most diverse marine environments. 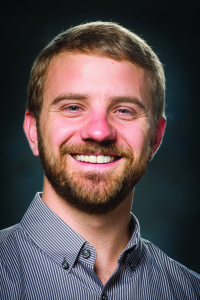 Ryan Carle, a graduate student in Marine Science who studies at the Moss Landing Marine Laboratories, has received a 2012 Switzer Environmental Fellowship. The Switzer Environmental Fellowship Program supports highly talented graduate students in New England and California whose studies are directed toward improving environmental quality and who demonstrate the potential for leadership in their field. Carle is a master’s student in the Vertebrate Ecology Lab at Moss Landing Marine Laboratories, and a lead ecologist for the non-profit Oikonos Ecosystem Knowledge. 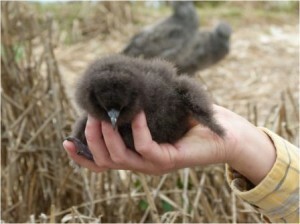 His current work is centered on the conservation of a small and threatened population of Rhinoceros Auklets (a burrowing seabird similar to puffins) breeding at Año Nuevo Island. One of only a handful of islands off the California coast, the island is critical breeding habitat for seven seabird and four marine mammal species. Professor and MLML Interim Director Jim Harvey is Carle’s advisor. View more photos on Ryan Carle’s blog.